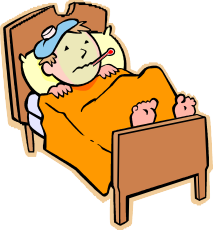 Home »Parent Information »What to do if my child gets sick? Please phone the school office if your child will be absent from school. If you know that your child will be away please write a note in the student’s Communication Book to the class teacher informing them of your child’s absence. We advise you to keep your child at home if she/he is not well. Remember that a sick child is better at home with their parents rather than at school feeling unhappy and spreading germs to other children and staff. If your child becomes sick at school you will be contacted. If you are not available your emergency contact person will be rung. Please keep all contact (home, mobile telephone) numbers up to date. If medication must be taken at school please talk to us about the administration of the medication. Departmental Policy is very strict and must be followed.